City of Karratha Mayor Peter Long was Joined by Rio Tinto Iron Ore General Manager Ports Cape Lambert Jamie Robinson and local community groups for the occasion. The project which is jointly funding by the City of Karratha, Rio Tinto and Lotterywest will include a brand new library, additional childcare and playgroup spaces, youth centre including skate park, water playground and office spaces for community groups. 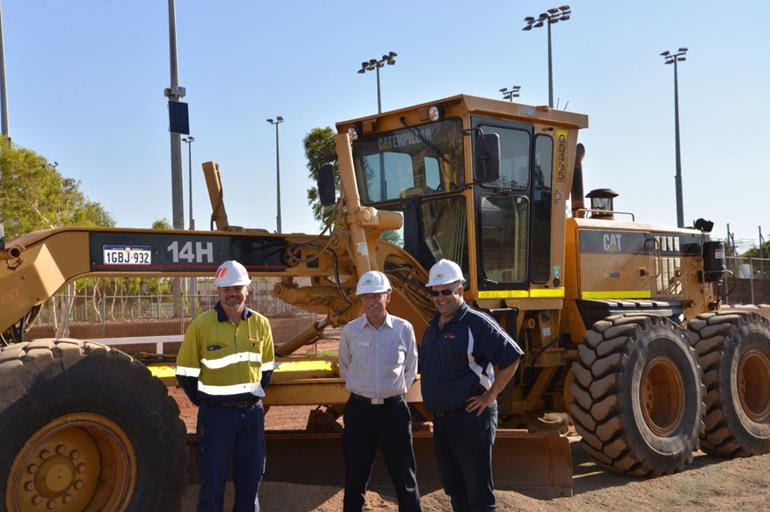 City of Karratha Mayor Peter Long said the project has been a long time in the making but is delighted that the residents of Wickham and surrounding communities of Point Samson and Roebourne, will soon see this facility start taking shape. “We have worked hard with Rio Tinto and the local community to get to this point. It has not been without its hurdles but I am delighted that by working closely together towards a shared vision for this community that we are now ready to commence construction on this project,” Cr Long said. “As we have seen with the success of the Dampier Community Hub, facilities like this can be game changers for regional communities, providing real job opportunities through construction and operation, and providing an enhanced level facilities and services for residents,” he added. Construction of the Wickham Community Hub is anticipated to be complete by the end of 2018.